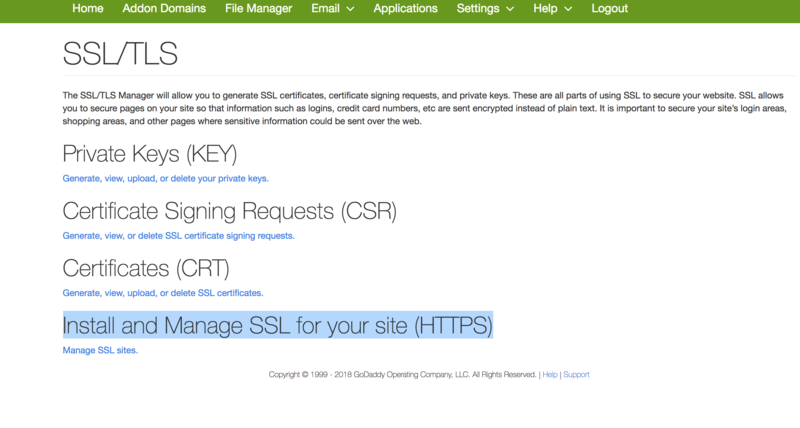 Follow these steps to set up an SSL Certificate for free on GoDaddy. It should take you about 10 minutes to accomplish this your first time. Go to ZeroSSL.com and fill out your domain information on the right side. Make sure to use both versions of your URL address. 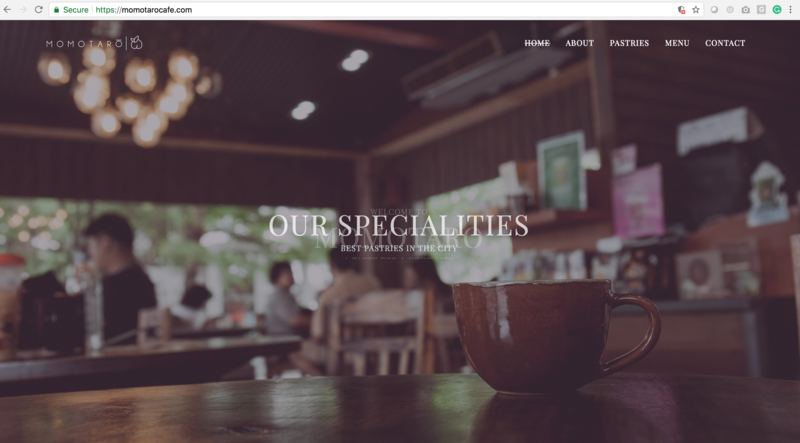 For this example, we used momotarocafe.com and www.momotarocafe.com. Once you have it in there check off the TOS checkboxes and click the next button in the top right corner of the screen. Once you hit next it will take a minute or two to generate your CSR (Second picture below). Download your CSR and click that Next button again. Now it will generate the account key for you. It may take a few moments. When it’s done download your key from the right side and hit that Next button one more time. 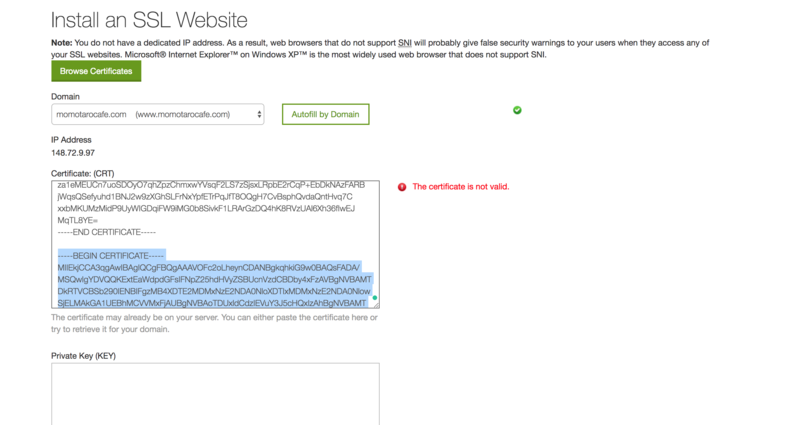 To verify domain ownership using HTTP verification, you will need to create appropriate files with specific text strings under your “webroot/.well-known/acme-challenge/” directory, where “webroot” is the main directory with your website pages. Please make sure that the files you have created are actually accessible (by clicking the links below in the File column) and have proper content before clicking “Next”. This means we have to log into our Cpanel account and go to the File Manager. Now choose your URL and click Go. 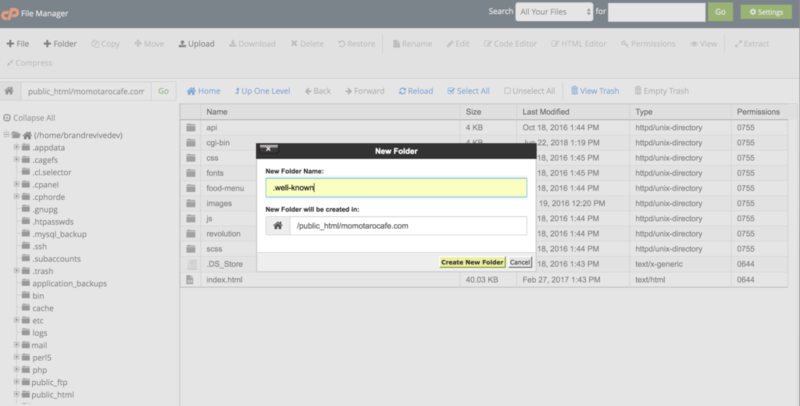 Now that you’re in the file manager Click on the + Folder and add the folder “.well-known”. 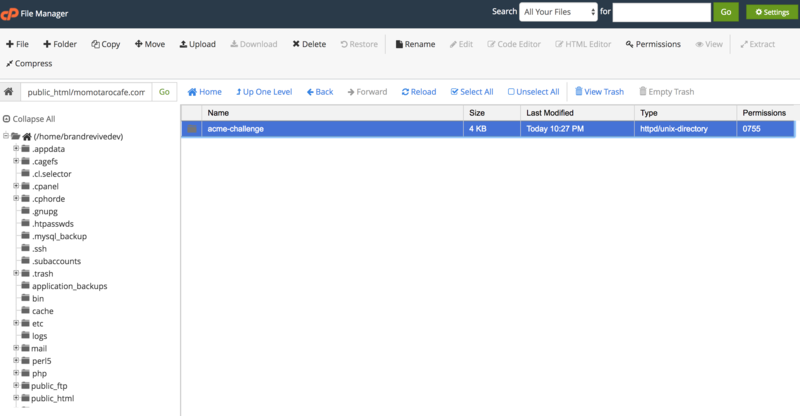 Now click into that folder and click the + Folder button again and add “acme-challenge”. Finally, click into “acme-challenge” and upload one at a time the two files you just downloaded from ZeroSSL into that acme-challenge folder. (See Process Below) Now let’s go back the ZeroSSL and click those two file links. 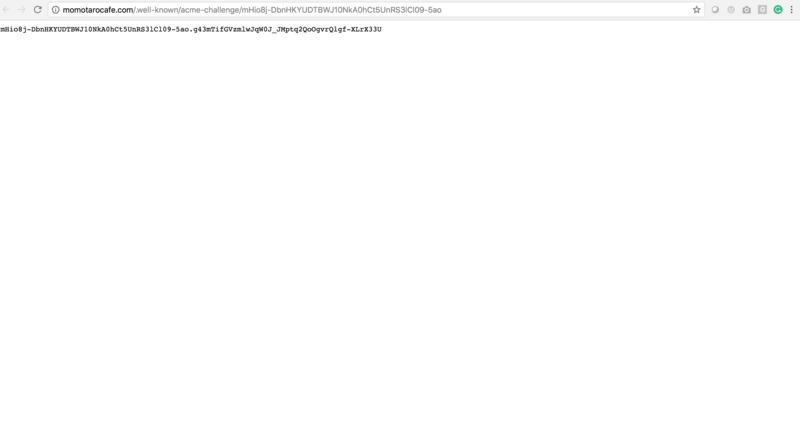 If you’re seeing a white page with the code at the top (like below), then you’ve done this right and we’re ready to move on. If you’re not seeing this, you’ve done something wrong. Go back and to Go, do not collect $200. 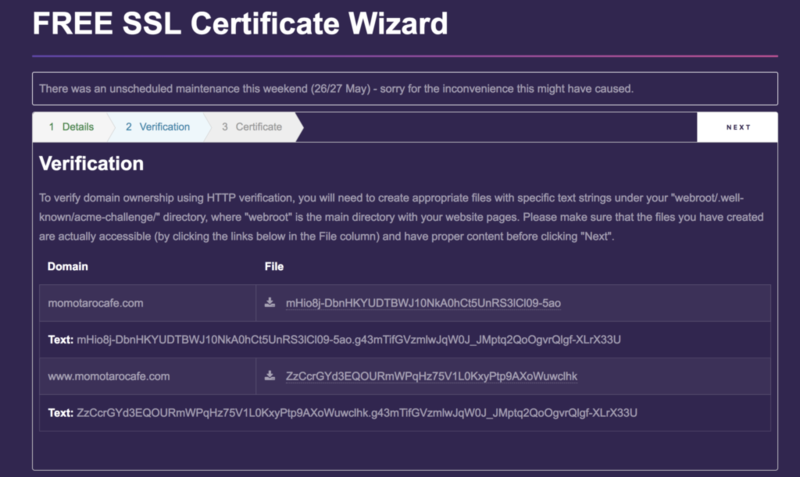 Lastly, click the Next button one more time on ZeroSSL to finalize the certificate. 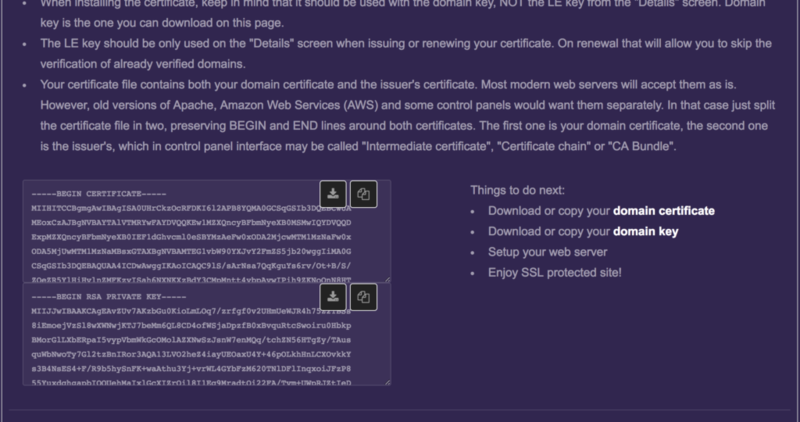 Once the page is done loading scroll down and download both your certificate and your private key. Keep this page up because we can come back here in a minute to copy these scripts so we can paste them into GoDaddy. Now copy the bottom text from “—–BEGIN CERTIFICATE—–” to the very end and cut and paste it into the bottom field on GoDaddy. 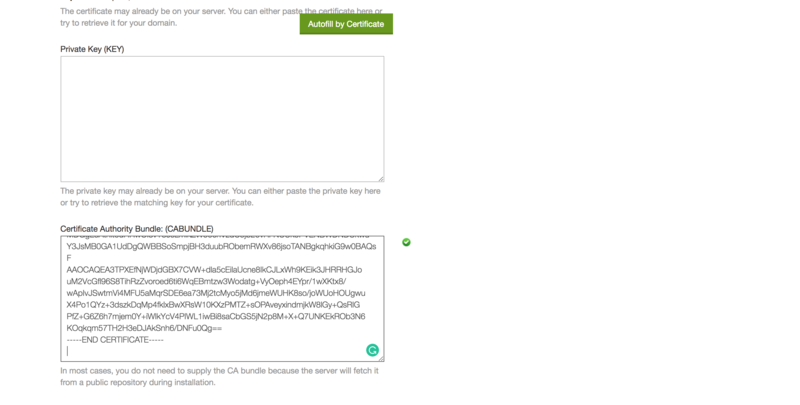 It’s called the Certificate Authority Bundle. Okay, that was the hard part. 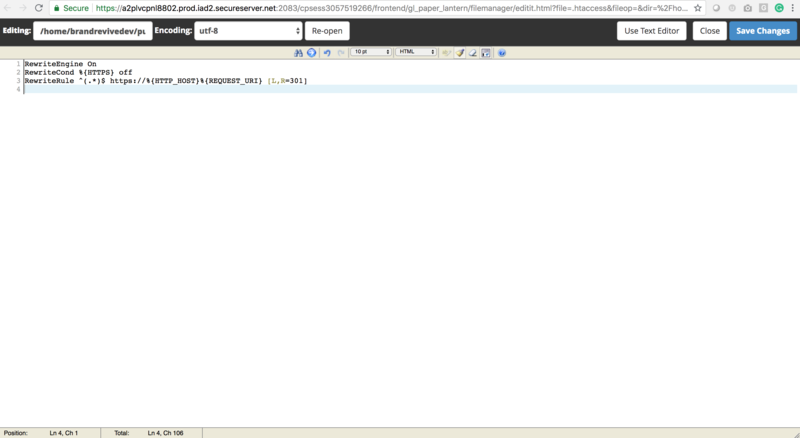 Now back to ZeroSSL to copy the key and paste it back into GoDaddy. Now scroll down and click the Install Certifcate button. You should see the screenshots below if you did it right! Congratulations we have the SSL set up and working. That is great if our users type in https://momotarocafe.com but we now need to force the website to go to this new https:// version of the site. 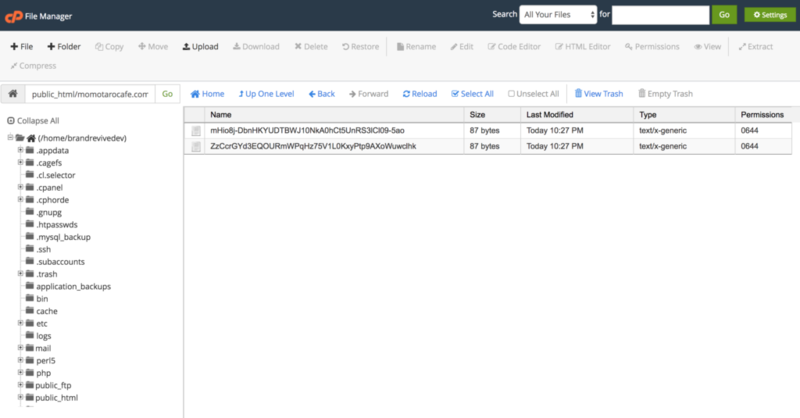 Now to force the site to behave the way we want we need to add a “.htaccess” file to the website root. So we have to venture back over to the file manager. Hopefully, you left it open. If not choose your domain name again and this time click the + File button. 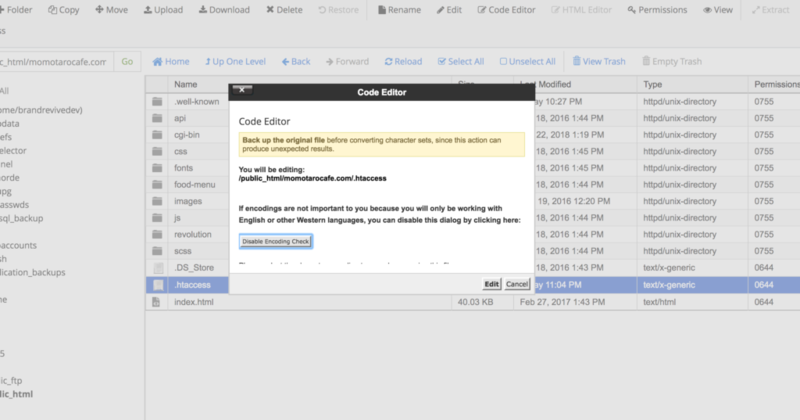 If you have a WordPress site installed on the domain you already have this file so just edit the file instead of creating it. Once you create the file right click on the file and choose “code edit”. This will bring up the file. Paste this text below into the file (at the bottom if you have stuff in there already) and click the save button in the upper right corner. You did it! You’re all done. Now type in your website normally into your browser. We did “www.momotarcafe.com”. It worked! 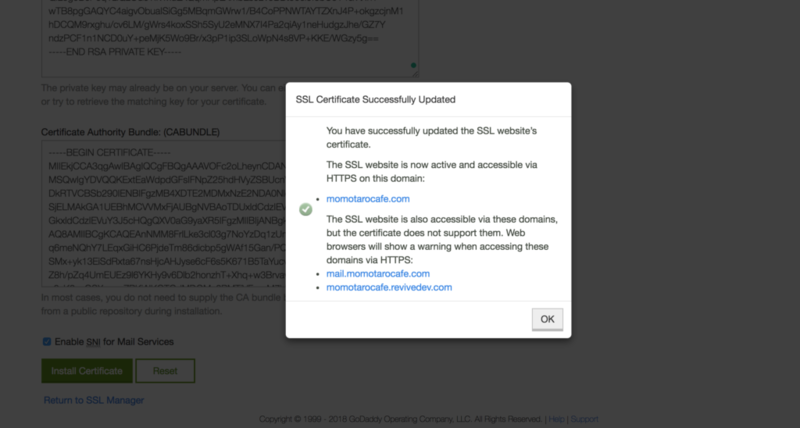 it redirected me to the SSL Certified https://momotarocafe.com. 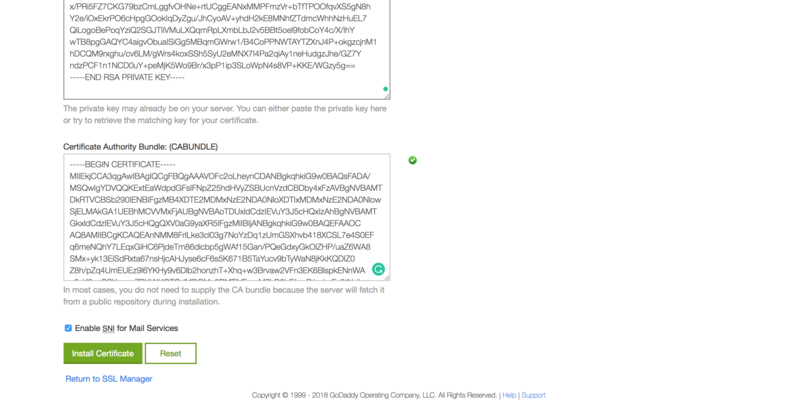 You know you did it right if you see the beautiful green secure lock and the https:// in your browser. If this is too much for you… you can just pay us to do it for you. Click Here and let us know.